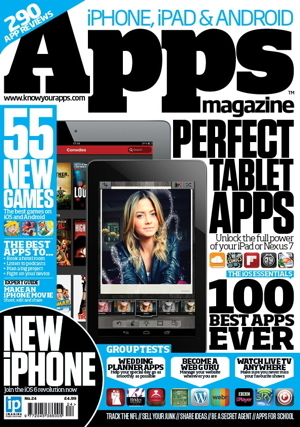 Apps Magazine happens to be one of the most sought after magazines dedicated entirely to apps. Ironically, the magazine had lacked a native digital edition so far, but the leadership behind the magazine has stated they intend to go entirely digital from now on. The company has so far been coming up with just a digital clone of the print version, but not any more. The new digital versions are available at both the Google Play Store as well as iTunes App Store for £2.99 or $4.99 per issue. There will also be a version available for both the Kindle Fire and Nook range of tablets, which can be picked up from the Amazon and B&N app stores respectively. The magazine carries extensive reviews of all the latest apps along with other features, such as the Top 200 Greatest Apps Ever, a comprehensive list of the best apps from every category. There is also the latest news and developments pertaining to apps, along with interviews with app developers. The magazine also hosts regular contests where users have the chance to win exciting freebies.